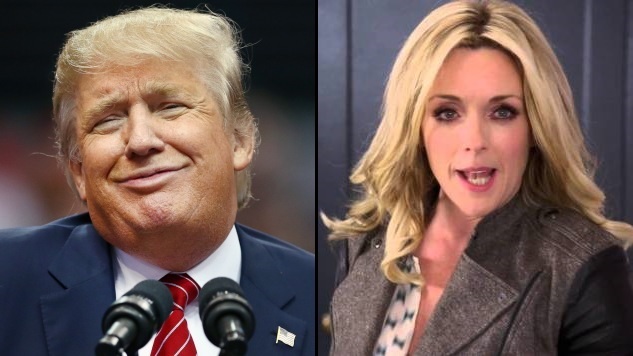 We’re ashamed that we hadn’t already noticed this: Donald Trump and Jenna Maroney, Jane Krakowski’s delusional 30 Rock character, are basically the same person. Thankfully the Donald Maroney Tumblr account has entered the world to prove it beyond a shadow of a doubt. Pretty much any Jenna Maroney quote is equally plausible as something Trump would say. The shameless self-absorption? The unwitting egotism? The overpowering arrogance? The other words that mean the same thing? They are both entirely defined by it, and it can be pretty funny as long as they’re just TV characters and not would-be politicians running for a fairly important position. If you need proof, check out these examples, and then head over to the Donald Maroney Tumblr for far, far more.